Beginning in Bratislava in 1933, this story of historical fiction follows various civilians through the lead-up, duration, and aftermath of World War II. Focusing on individuals in Slovakia the reader is taken on a long-winded, albeit fascinating tour of an often-neglected portion of this most infamous of wars. In the middle of it all is gentle Greta, a voracious reader from a Jewish family who finds herself in love with a “Prussian looking junior sales assistant” at the local bookstore. Little does Greta know that a wave of anti-Semitism will make her eventual marriage to this non-Jewish man a potentially lethal situation for both husband and wife. Unlike his daughter, Greta’s father Jonah has always exercised more caution in matters concerning his Jewish heritage. As a skilled weaver Jonah has always kept himself from being too closely associated with the Jewish community, never wanting to “attract unwanted attention and damage his business”. Of course nothing can fully protect these and others from the sheer insanity that came with the rise and fall of Nazi Europe. Lingering not just on those persecuted by the wave of anti-Semitism but on the bystanders, the sympathizers, and the opportunists as well, the book does an excellent job of providing insight into how regular people could be swept up in the constant barrage of Nazi propaganda. As Greta’s own husband remarks after Greta suffers a miscarriage “Did she really work too hard or was that her weak Jewish body that made the baby come away? I do wonder.” And characters often wonder, fear, plot, and die. As attitudes shift with whoever is winning the war, it becomes clear that no one was ever truly safe at this time no matter what their allegiance or background. A Rich, Epic Historical Fiction! Set around the period of the World War II, Christoph Fischer brings to life an epic tale of the struggle for survival of a love-struck couple from two different backgrounds. I’m not much of a fan of Historical Fiction, but for one of the few times in my life, I’ve read a historical fiction and thoroughly enjoyed it. 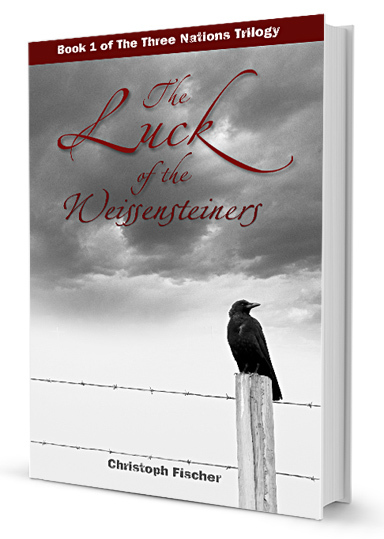 The Luck of the Weissensteiners is a rich, insightful novel that explores the lives of people from various deep, multicultural backgrounds. A story so touching it will bring tears to your eyes. Highly recommended to all Historical Fiction fans. The first sentence of SEBASTIAN stirred my curiosity, and like Alice, I found myself in another time and place. Transported to a hospital room in pre-WWI Vienna, I felt the gravity of the situation. Was this doctor really going to amputate part of Sebastian’s leg? 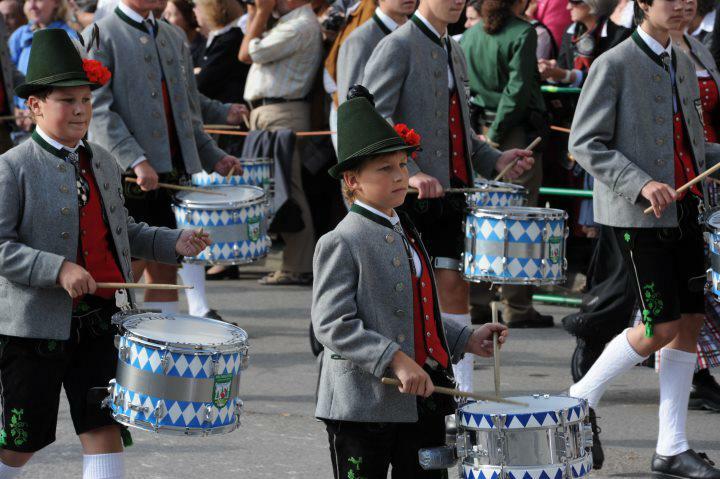 Carried along from page to page, I worried alongside his mother, Vera, and wondered why his father, Franz, was not there. 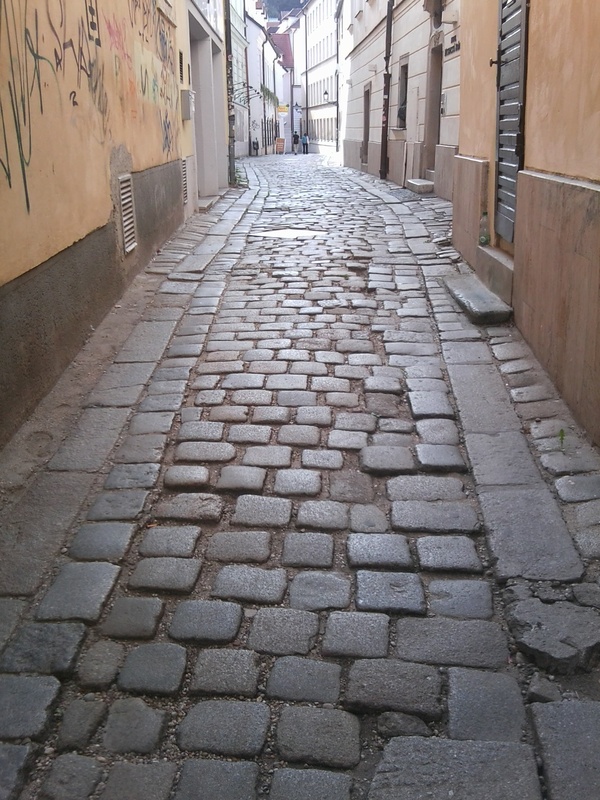 As the novel unfolds and expands, we experience everyday life in this era. Vienna, in the years just before the Great War, was in a sort of golden age bubble — a bubble that was about to burst. The trajectory of Sebastian’s life will change, as will the lives of the other characters we meet, all tied in one way or another to the family’s grocery store, a gathering place of many ethnicities. 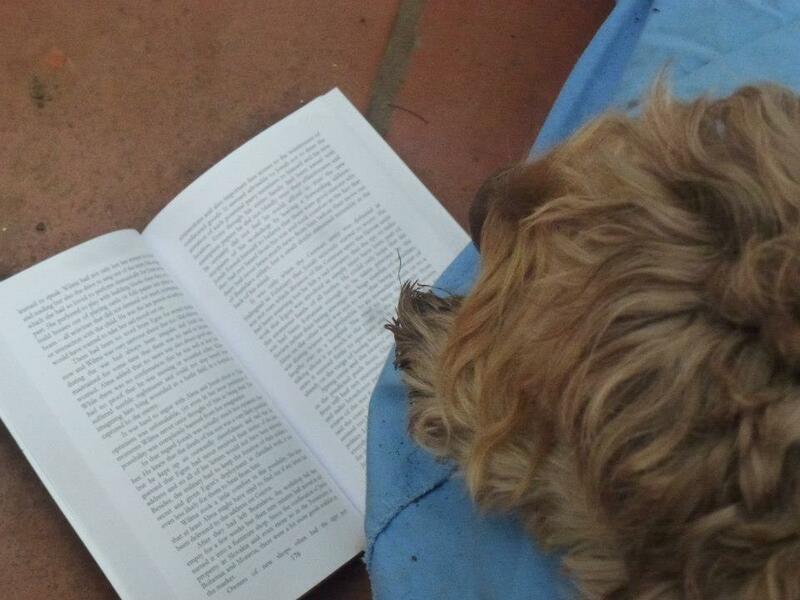 The author, Christoph Fischer, is a very talented writer. His first book, THE LUCK OF THE WEISSENSTEINERS, was a fabulous read, too. I think the writing in SEBASTIAN is even more graceful and the history so smoothly integrated. Oh, how deftly the author laces the metaphorical shoe that Sebastian will no longer wear. Everyone is missing a shoe of one kind or another. Sebastian’s journey is everyone’s journey. Who will love this novel? Anyone who values good storytelling, a well researched setting, and a cast of fascinating characters — each with their own challenges. The novel holds our attention, so rapt we are in how people adapt, well or not, to changing landscapes in their lives, their decisions often based on their perceptions, accurate or not. 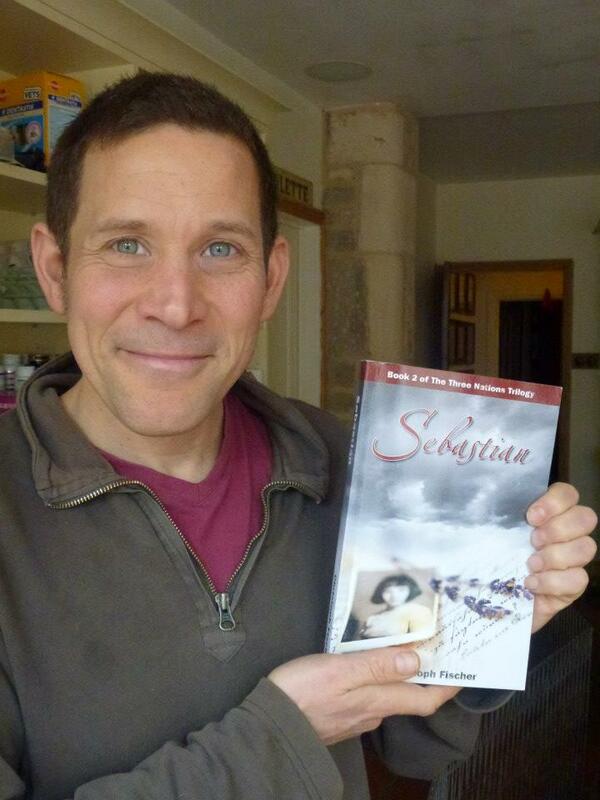 SEBASTIAN is superb historical fiction. Highly recommended. Sebastian… A Very Touching Story! Can anything be more turbulent than having your leg amputated as a teenager and losing your self-worth in the process? Sebastian is the story of a young man growing up in a not-so-palatable world, with all the accompanying disasters, irritation, lack of trust, betrayal, frustration; and yet he managed to pull through it all. His resilience, courage and hope are ones that will inspire many for generations to come. The 2nd book in The Three Nations trilogy, Christoph Fischer has woven reality in this 321-page fiction that is so engaging you simply cannot turn away. I fell in love with Sebastian and how he overcame the hardships that he faced!!! From losing his leg and confidence at 16 and all the hardships that follow including his pregnant soon-to-be wife running off, leaving him with his young daughter and the First World War that wreaks havoc for his family and nation. Yet he still manages to stay strong to support his family and himself whilst still managing to smile. An finally he finds love again and his own self-acceptance!!! A truly inspiring read for anyone!!!! Oleg Medvedkov is one of the Top reviewers on Amazon, a successful blogger and renowned writer himself. His praise and the unexpected 5 star review has made my day. The history in this novel was very rich and as it’s an area I studied it complemented what I already knew perfectly and I really felt like I could have been there and a part of it all. The suspense at several key points was masterfully done and I found myself holding my breath, tensing up and being unable to stop reading until I knew everyone was safe. a writer completely confident in his material and research. Christoph is meticulous in his approach and has the gifts of a natural story teller. I suspect that this is only the first in a long line of must read books. an important historical rendition of wartime Eastern Europe that will continue to haunt you for a long time after you finish reading it. …characters are all strong fictional creations that give life and credibility to the historical backdrop. It is a touching story of courage, love and heroic endurance in a time of abject cruelty and terror. The players in this drama are far from being two-dimensional; even the cold, unfeeling characters will at times show a glimmer of warmth. Be prepared for emotional upheaval while reading this– you cannot remain untouched. What this book reminds us of, is that the “quiet” and “acceptable” racism, just like the veiled racism we can often see just by looking outside of the window, is NOT acceptable. All it takes is one crazy ideology or an opportunistic politician, and we could still relieve the horrors of concentration camps and mass graves. Still, this is not a political book. It’s a human story, with love, betrayals, and hope. I don’t want to give away the spoilers, so do pick up this book and read it. You won’t be disappointed. This story will captivate readers immediately and hold them mesmerized until the final page. It is a gripping tale and incredibly thrilling. Among all World War II historical fiction novels I would certainly place this within the must-read books. I appreciate the care that Fischer took to verify the accuracy of history and the details of the time. The embellishment came from the personal stories of the characters themselves; the details of the countries, the political culture and the moral attitudes were all grounded in proven fact and historical accounts of Eastern Europe during World War II. 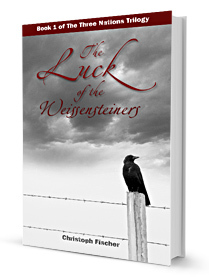 I encourage any reader who decides to follow my recommendation and read The Luck of the Weissensteiners to read it slowly and over at least a week to really focus on the story, connect with the characters and savor every moment. Mt reviewing has also had some highlights this week. And our community has been growing! We now number more than 20 million members on Goodreads.